My CVS haul. All less than $20. Ok I know I just hollared at y'all on Sunday, but I had an ah-maze-zing haul at CVS that I had to tell you about. My CVS had on clearance a whole lot of Borghese, Revlon, Sally Hansen and Barielle Nail Treatments. Everything was less than $1.60. One of the Orly Cosmix nail polishes was $0.37? No I didn't misplace the decimal point. Thirty-seven cents! Packs of gum cost more. Win these! Two sets available! I picked up quite a few of the Barielle treatments and thought I would treat my readers to some treats. I currently have two giveaways going on now, but what's another one. This one is super easy. Two sets up for grabs. Another winner will be chosen at random from Twitter. Just tweet "@Beautyburg is giving away 3 Barielle nail treatments. http://tinyurl.com/4qp967v"
Contest ends March 22nd, 2011 at 11:59pm PST. I will announce the winner later this week! As always, open to international friends. Those younger than 18, please ask your parent for permission. Let me know if you find the same clearance at your local CVS! 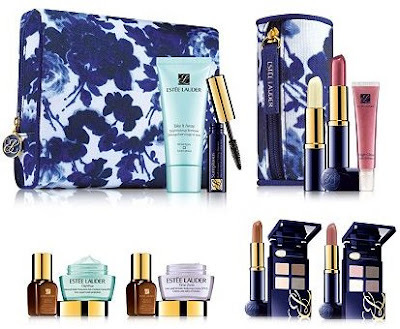 My Estee Lauder Haul from Macys. 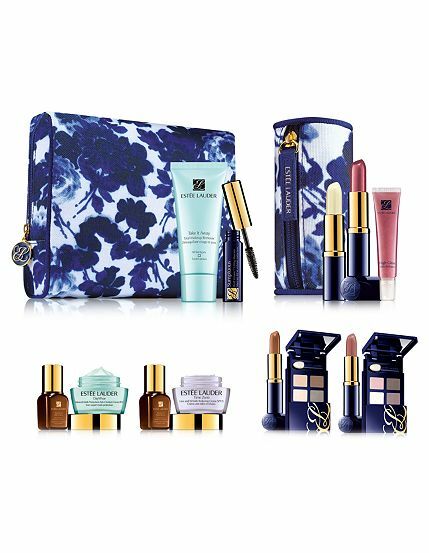 Estée Lauder is having a pretty nice gift with purchase right now at Macy's through March 20th available in stores and at macys.com. I had a couple things on my wishlist, so I thought it was a good time to haul. Details on the GWP are below. I love it when you get a choice in color shades. I picked "cool" for both options, and I opted for the Multi-Protection cream. However what I'm most excited about is the lip conditioner! Review of the products I got from my haul will be on the blog soon! Choose the lip and eye shades you love, Warms or Cools (I picked cools). Warms: Pure Color Lipstick (full-size) in Tiger Eye; Pure Color EyeShadow in Rivera Rose, Sugar Biscuit, Enchanted Forest and Hot Cinnamon. Cools: Pure Color Lipstick (full-size) in Rose Tea; Pure Color EyeShadow in Sugar Cube, Lilac Whimsy, Smoky Ember and Wild Truffle. With $60 purchase or more - Choose your lipstick and lipgloss shades. Choose the lip shades you love, Warms or Cools: Warms: Pure Color Lipstick (full-size) in Sunstone and High Gloss in Rose. Cools: Pure Color Lipstick (full-size) in Rubellite and High Gloss in Berry. Do you wait for gifts with purchases to haul? Or are you not partial to GWP because you never use the stuff inside? RMK Spring Shimmer - Spring Summer 2011 - Haul And Presents from Taiwan! Hubs just got back from a business trip to Asia, and he was soooooooooo nice to do some haulage for me while he was there. I have to give kudos to any man brave enough to walk up to a cosmetics counter, let alone one in a foreign country where you don't speak the language. He knows I have a weakness for hard to get and pricey Japanese brands, and he was nice enough to bring new products from RMK's spring line. I will have complete swatches and eye looks to follow. My initial impressions are excited. I love the pressed eyeshadows. Two of the more metallic shades have chunky glitter and look like they would be perfect for highlighting near the tearducts. I was cracking up when my husband was giving me instructions that he had learned from the sales associate on how to apply the product. It was really cute! RMK Spring Shimmer for Spring 2011. Another present. A keychain from Din Tai Fung. If you live close to a Din Tai Fung location, I highly recommend going! We went on a recent trip to LA and stuffed ourselves! Hubs brought back this nice little keepsake from his last trip Taiwan. Bao Zai in a cute spring outfit. Have you ever sent a S.O. or loved one out for makeup or nail polish? What was the result?